Welcome to the Roberts Lab! 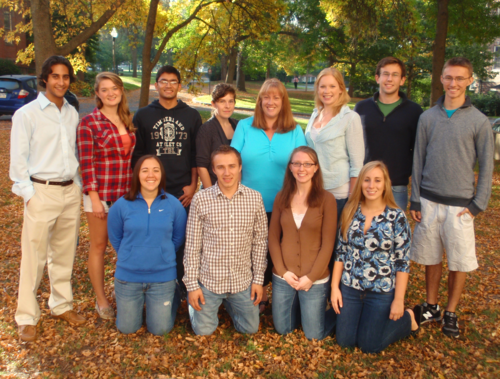 The Roberts group, led by Susan C. Roberts, focuses on cellular and metabolic engineering in both mammalian and plant cell cultures. In our approach, we exploit metabolic pathways through characterization techniques and redirection of metabolism to optimize cellular processes for a variety of applications. Development and optimization of plant cell culture processes for the supply of valuable plant-derived chemicals through the study of cellular aggregation and the development and application of both metabolic engineering approaches and flow cytometric methodologies. Design and utilization of three-dimensional mammalian cell in vitro systems to explore the roles of oxygen tension and mechanical properties of biomaterials on cell functionality. Researchers in our laboratory come from various disciplines with backgrounds in chemical engineering, bioengineering, molecular and cellular biology, and plant biology. This page was last edited on 7 August 2012, at 12:40.